I AM SO HAPPY! Paul just released two brand new songs off his up and coming album to be released September 7th. One song is called Come On To Me and the other song is called I Don't Know. They are both great tunes and contrast each other quite nicely. Come On To Me is a more upbeat and uptempo arrangement with a nice rock and roll rhythms backing it. Paul's vocals are great too. The song is quite repetitive, but in the best way. I can't wait to see this one in concert cause I already know it's gonna be a great sing a long song. There's a definite call-and-response quality to it, too. The second song, I Don't Know, is more of a piano track. Upon my first listen, it sounded like Warm And Beautiful, but it's quite different. I am so excited for this new album release...from what I've been reading online and seeing on social media, it should be a really great album with a lot of different sounds and styles all surrounding his Egypt Station concept. Two days after his 76th birthday, Paul McCartney released two new songs, which he calls a taste of Egypt Station, a new studio album set for release September 7. "I Don't Know" is a doleful ballad, while "Come On To Me" is fiery, foot-stomping rock song — hear them both below. It's been five years since McCartney's last full-length album, New, which marked a change in direction for the former Beatle. After a run of records inspired by standards and singer-songwriters, New was full of modern pop sounds. McCartney took it to another level entirely in 2015 when he teamed up with Kanye West and Rihanna on the single "FourFiveSeconds." The new single's artwork includes vintage travel tickets, passport stickers and illustrations of sand, sky and railroads. 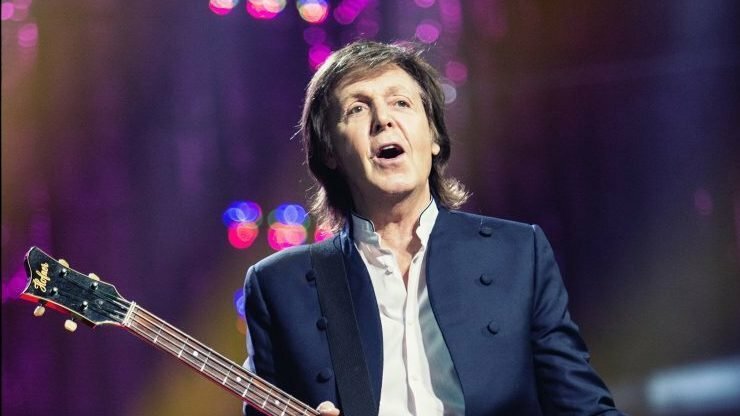 McCartney's social media posts from June 18 suggested that his upcoming album will be titled Egypt Station, confirmed today in a press release. And about that album title? It's not that complicated, McCartney writes in a statement. "I liked the words 'Egypt Station.' It reminded me of the 'album' albums we used to make... Egypt Station starts off at the station on the first song and then each song is like a different station. So it gave us some idea to base all the songs around that. I think of it as a dream location that the music emanates from." Thanks for the great music, Paul, and I cannot wait for all that's to come!! !